Vietnam, and the city of Da Nang in particular, recently shocked the world with the unveiling of the Cau Vang Bridge, a pedestrian walkway that looks like something straight out of Lord of the Rings. The bridge symbolizes a city on the rise, a place piquing the interest not only of Vietnam’s entrepreneurs, who are blasting their way to the top of Southeast Asia’s startup scene, but also of an increasing number of international visitors. From badass bridges pulled straight from Middle Earth to killer street food simmering before you, the central Vietnamese city of Da Nang is among the country’s fastest-growing hotspots for backpackers and tourists. Many travelers consider it only as an easy way to get to Hoi An. But in fact, you can’t say you’ve seen Vietnam if you haven’t stopped in Da Nang. Here’s why this coastal city in central Vietnam is drawing ever more visitors. The bridges are out of this world. 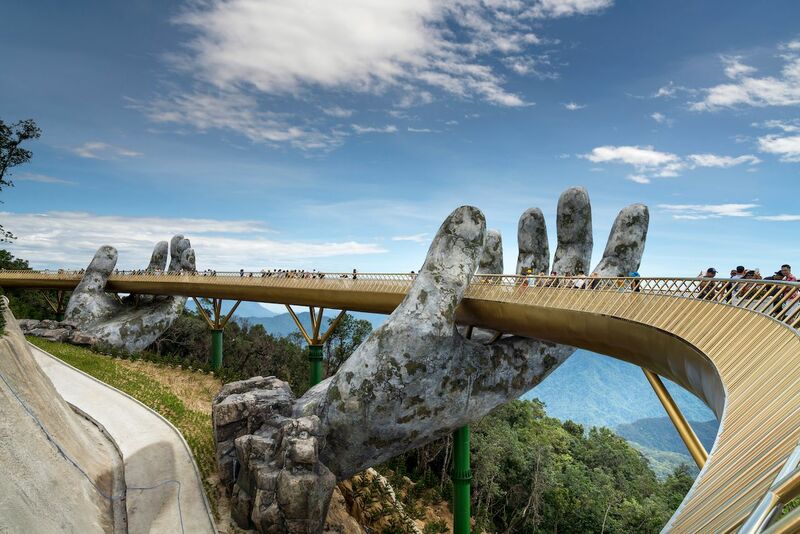 Behold “the hands of God” at Da Nang’s new Cau Vang bridge, a structure that looks like its designers yanked it straight out of one of Tolkien’s tales. Photos and videos of the bridge went viral, shining a spotlight on the city and bringing tourists running to shoot their own selfies. Who can blame them? The 492-foot (150-meter)-long bridge rests in the palms of two massive, moss-covered hands jutting out from the hillside and extends through stunning gardens. You’ll have to brave the world’s longest single-track cable car to get up there, but the stunning view of the replica French colonial village and castle in the Ba Na Hills below is worth it. This isn’t the first insane bridge in Da Nang. The Cau Vang joins the dragon-shaped Cau Rong, a serpentine structure that even spits fire on weekends. If you ask us, the city seems determined to keep this game on lock by building the world’s coolest bridges before anyone else can. Rumor has it that a third bridge will feature a giant silver strand of God’s hair. The street food is incredible. 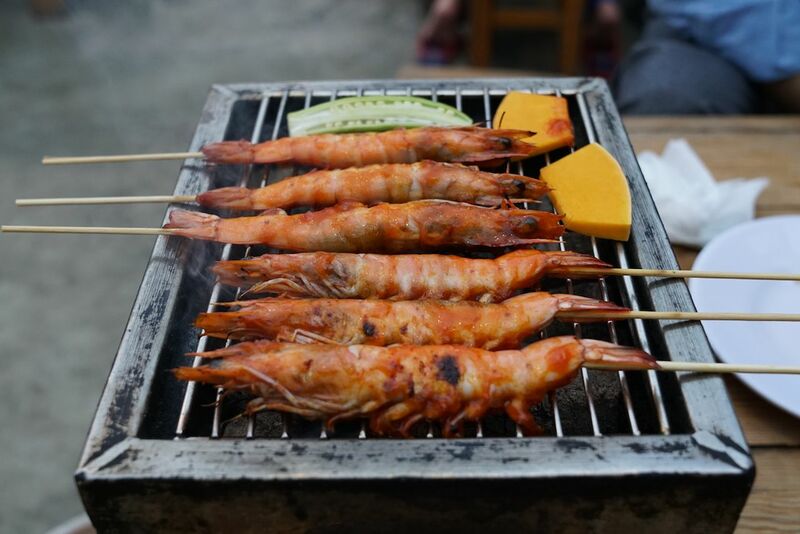 Da Nang’s street food spots don’t have the legendary status of those in Hanoi and Ho Chi Minh City, but the little plastic stools and tables lining the streets signal heaven for your taste buds. They’re especially popular with backpackers on a budget, but rest assured, you’re not trading quality for lower cost. Wander through the crowded backstreets and find a few spots buzzing with locals — the traveler’s telltale sign of good food. Once you’ve narrowed your choices down, the only decision left is what flavors you’re in the mood for. Go with a Vietnamese classic in banh mi or pho, or grab fresh seafood in banh xeo, a “sizzling pancake” made of rice flour and stuffed with veggies and shrimp. The choices are endless. Just come armed with the name of the place, or follow the locals, as most of the signs aren’t written in English. The city is a perfect place for digital nomads and entrepreneurs to hunker down. Already the fourth largest Vietnamese city in terms of population, Da Nang is also an emerging startup hub in Southeast Asia. Back in 2016, Microsoft and the Danang Startup Network Coordinating Council signed the memorandum of understanding (MoU) to help empower local businesses and startups. This kind of government and corporate support, coupled with the affordable cost of living, fills the city with the youthful energy of entrepreneurs and digital nomads. The city and surrounding area are strikingly beautiful. You can capture a sense of Da Nang’s spirit in one short legend. 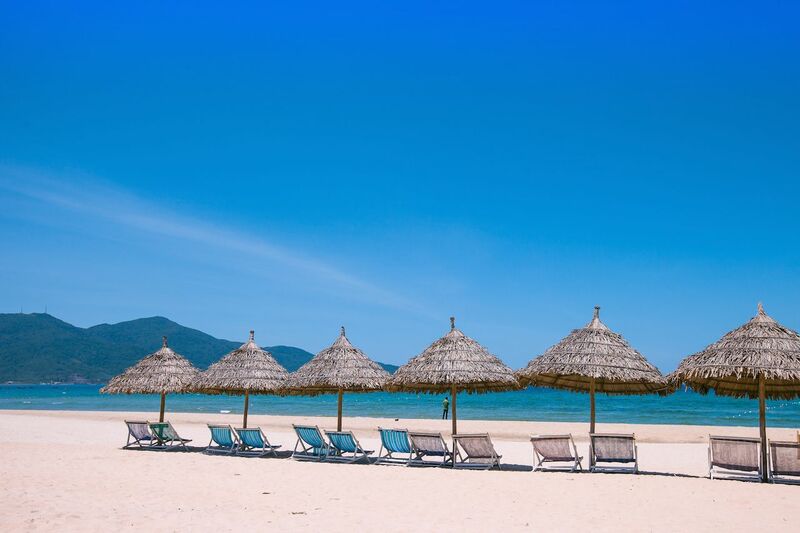 In ancient times, a fisherman saw a dragon rise out of the sea at Non Nuoc beach, a beautiful stretch of sand that runs for miles along the Da Nang coastline. The dragon laid a giant egg and returned to the water. Suddenly, a giant golden turtle crawled out onto the sand and told the fisherman it was his duty to protect the egg. For many nights, the turtle helped him stand guard. Years later, a beautiful princess hatched from the egg, and the shell fragments formed the five Marble Mountains you see today. In those Marble Mountains, twisting marble and limestone tunnels lead to caverns filled with Buddha shrines, and a trek to one of the summits grants stunning views of the landscape below. Hike into the hills, rent a scooter for an adventure along Hai Van Pass, or kick it at one of the many beaches. 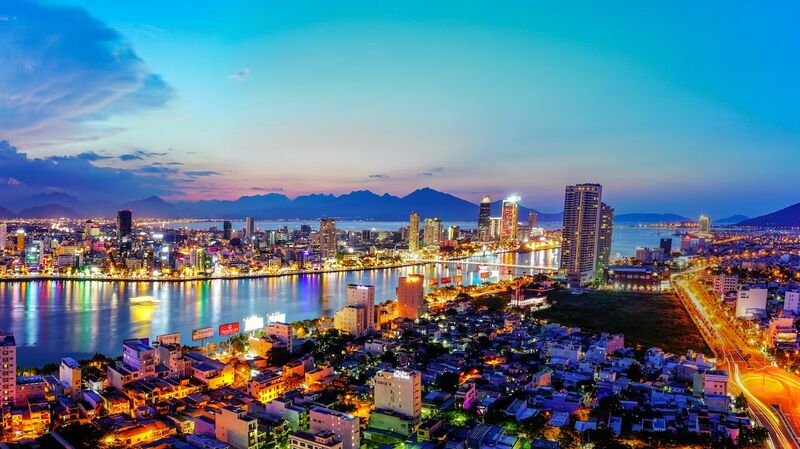 Da Nang is a mix of urban energy and nearby natural beauty. The location is central to all points in the country. Da Nang sits perfectly positioned as a midway point between Ho Chi Minh City in the south of Vietnam and capital city Hanoi in the north. The city also serves as the gateway to ancient Hoi An, a popular UNESCO World Heritage site that reflects the area’s mixed history and culture in its well-preserved architecture. Stop here on your way between these popular cities to take in the clashing worlds of sparkling skyscrapers and relaxed vibes. Da Nang is full of bustling streets packed with motorbikes and people, much like the larger cities to the north and south, but the vibe is decidedly calmer. You’ll see cafes packed with those having casual conversations and people working on laptops, as well as beaches lined with families, tourists, and hawkers. Enjoy the smells of delicious street food and listen to the buzz of the city. Let your senses savor all this in Da Nang.